Wandle Fortnight is a two week celebration of the Wandle run by the community for the community. Get in touch if you are running an event or activity and find out what's happening on our Wandle Fortnight pages. Please sign the petition for Ruth Dombey, Leader of Sutton Council to take action to enforce the planning conditions and deliver the promised Beddington Farmlands nature reserve. 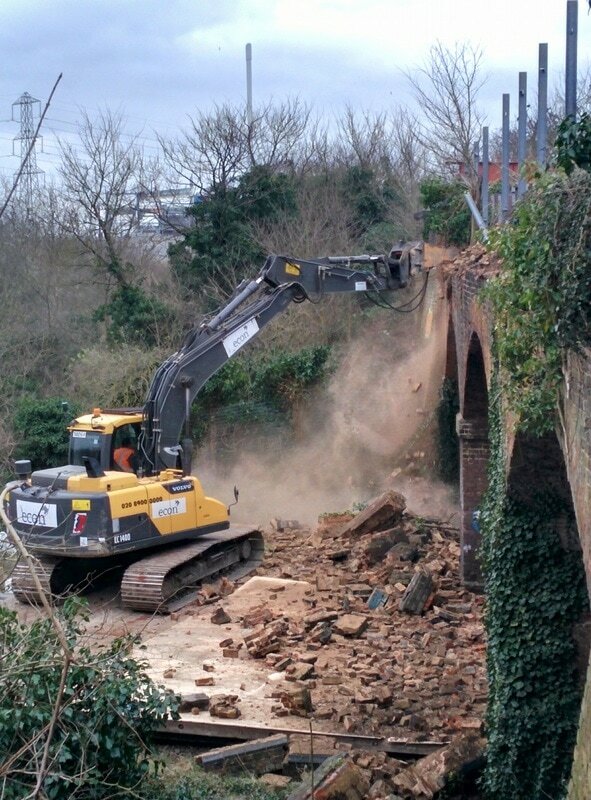 Hackbridge bridges - Network Rail has demolished the Irrigation and 100 Acre bridges. This is despite over 1000 people signing our petition to save them. We are determined to make sure this is only a setback for the ambitions to create a new Wandle Metropolitan Park stretching from Beddington Park to Mitcham. This vast area of open space - more than three times the size of Hyde Park - has never been coherently managed and much remains off limits. If the loss of the bridges can have a silver lining it is to reignite the momentum to deliver a new open space for London. The first green shoots are visible. Over 500 supported our petition for Sutton Council to back a replacement bridge. Sutton Council has said that "now is the time for action" and Sutton Council Leader Ruth Dombey has told Wandle Valley Forum that she is "glad to work together to find ways of providing pedestrian access. Important for the future of the park." Following a debate on the petition Sutton Council has agreed to work with us and local groups to find a way forward. As a first step one thing is certain - any sensible plans for future public access are going to need better access over the railway. Sutton Council is already building a new school right next to where a bridge will be needed. A next step is to include an enabling policy in the new Sutton Local Plan. Watch the destruction of the Hackbridge bridges in the short video below. 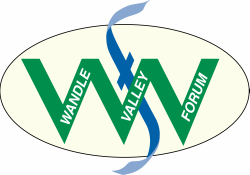 Wandle Valley Forum provides support and an independent voice for over 120 community groups & voluntary organisations and for everyone who shares a passion for the Wandle. Our campaigning was instrumental in establishing the Wandle Valley Regional Park and we are integral to its future development. Support us by offering your time or giving a donation. ​Our priorities are set out in the Wandle Valley Forum Charter. Wandle Valley Forum's Annual Meeting is on 3rd July in the newly revitalised Merton Priory Chapter House. The guest speaker is Bella Davies (Wandle Trust) sharing some of her secrets of how the river works and supper will be available for a reasonable donation. Begins at 7pm. ​Have a look at the Wandle Valley Forum Charter here. Download and print the Wandle Valley Forum Charter here.